Growing up, I have strong memories of being dragged around antique stores as my parents (mainly Dad) sought out treasures. At the time, I wasn't always impressed, in fact I sometimes secretly wished for a brand new home with all brand new furniture out in the burbs. Luckily, their influence rubbed off and I now understand the attraction and have no doubt I will subject my own children the the same thing one day. 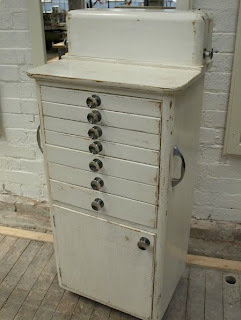 I love the current industrial-feel vintage trend (as featured in lots of design mags and blogs of late) and recently discovered a gold mine for it not far from home. Doug up on Bourke in Alexandria, Sydney, bills itself as "Sydney's best kept secret", although I doubt that is true, and I am sure local props buyers and dressers, interior designers and stylists are all over it. I held a photo shoot held there recently (stay tuned for more info on a Simply Spruiking piece soon). We'd originally hoped to use a theatre's props room, but Doug Up proved even better with endless options for backdrops. It's a family business and they were amazing to us, charging a very reasonable hire fee and even making us tea in lovely vintage tea set on arrival. I love a business owner who knows that little things make such a difference. I spent half the day taking notes on prices for pieces I wanted to come back and buy. I've since been back several times agonizing over potential purchases. This isn't really a place for bargains, but the quality generally seems excellent. I checked out their website again and they now feature photos of quite a few pieces (although there is plenty more on site). 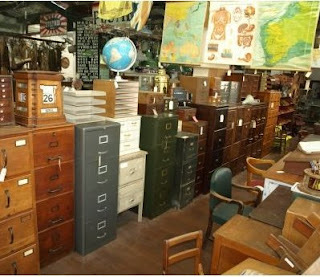 I've featured a few pics from their website below, as well as the top pic featuring antique filing cabinets. I would love one or two of the wooden ones. Dad tells me he remembers seeing these go the the tip by the truck load. What a tragedy. 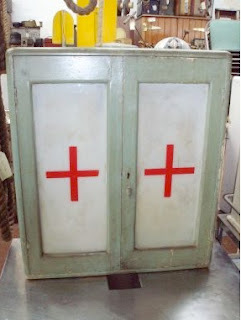 Vintage dental cabinet. I want this for my bathroom. Or just the studio. Old butcher's block. Much more impressive in the flesh (excuse the pun). 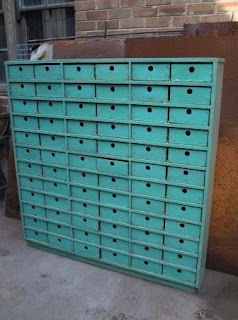 Pigeon hole style shelving with drawers. Would be so handy to justify my hoarding of bits and bobs. The focus here for me is the table and bench seats, made from recycled timber, featuring different coloured paint still visible. 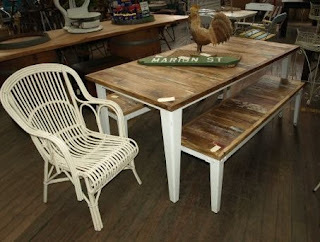 Would make a great outdoor setting or even kitchen table in the right house. This is my dream work bench. Again, the photo doesn't do it justice. 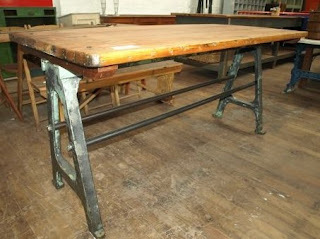 It is over a couple of metres long and the perfect height for working standing or seated on a stool. 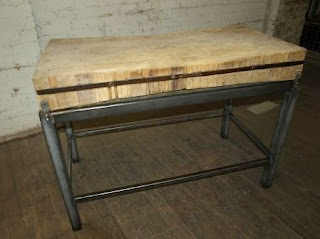 It features beuatiful cast iron legs and hardwood top. Another one for the bathroom. Amidst the amazing furniture pieces are other bric-a-brac pieces including hats and some fashion. 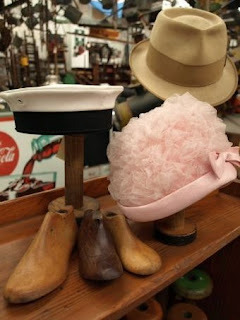 I'd love to do some feature decorating with old hats and hat stands one day.